Over the course of the last two years I have published the occasional post on the topic of “Engineering in an Age of Limits” at https://peakengineering.wordpress.com. I have also, over an even longer span of the years, published many books to do with process engineering and process safety/risk management (Sutton Technical Books at www.stb07.com). The natural next step is to combine the two activities and write a book with the title Engineering in an Age of Limits. However, I have put off doing so because it really doesn’t seem as if there is a market for such a book. It is a downer of a topic and most engineers are inherently optimistic — they believe that “they” will “come up with something” to address the myriad of problems that we face. However, because the issues to do with living in an Age of Limits are so important, and because engineers can make a major contribution to the structure of the world that we are entering, I have decided to go ahead with the project — even if sales of the book itself turn out to be miserable. My approach to the writing of this book will be to publish a blog post at regular intervals (this is the first). The posts will not only provide the materials that will eventually make up the book they will also provide a means whereby I can solicit feedback from my readers. I have also created a LinkedIn page to facilitate discussion on these topics. There are two basic themes behind this series of posts (and of the book that may get written). The first theme is that our society is well into an Age of Limits: limits to the natural resources that we can exploit, limits to the extent to which we can continue dumping our wastes into the air and sea and onto the land, and limits to our financial reserves. The second theme is that engineers are in a position to help us make the transition to the society that is to come; they did it once already, at the beginning of the 18th century, and they may be able to do it again. I will develop these two themes in future posts. For now, here are some parameters that will frame the discussions. Until the start of the 18th century human beings lived on the energy provided by sunlight. That energy grew the crops and the trees that were used for fuel. In modern parlance, human life was “sustainable”. Then we started to exploit the energy stored in fossil fuels (coal, gas and oil). That energy has been created over a time span of millions of years from dead plant and animal material. If we have to select a year when we started to systematically use fossil fuels then 1712 will do — that is the year when Thomas Newcomen invented his steam engine to extract water from flooded mines. This invention heralded the arrival of the Industrial Revolution. We face predicaments, not problems. Problems have solutions — predicaments can only generate responses. This is probably the hardest concept for us to grasp, particularly those of us who are engineers because we are used to finding solutions — the changes that we face will take place, like it or not; moreover most of those changes are bad news, in particular, our current standard of living cannot be maintained. In the 300 years since the invention of Newcomen’s engine the number of people living on earth has grown by an astonishing 1500% from around 0.5 billion to 7.5 billion. Those extra people are fed and supported by the energy provided by fossil fuels. Not only did oil, gas and coal provide the energy needed for transportation, the generation of electricity and the heating of buildings, it also provided the materials needed for the manufacture of the vast array of modern industrial products ranging from fertilizers to chemotherapy drugs to computer screens. Maintaining our current population level in coming years is likely to be a challenge, to say the least. The latest technologies such as “smart” phones and new pharmaceuticals neither create nor save energy. 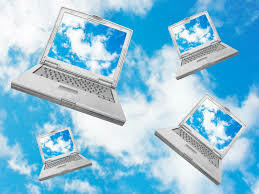 In fact they use energy as noted in our post The Cloud. 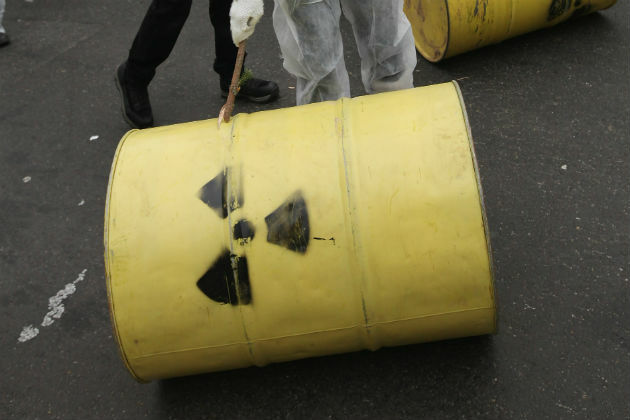 They also use raw materials and create many environmental problems. Technology is part of the problem, not part of the solution. Actions have consequences. Humanity steadily depleted its sources of energy: first the great forests were gone, then coal, then oil — the world-wide production of which peaked around the year 2005. Moreover, in spite of the almost endless discussion about alternative energy the reality is that we have not been able to find an adequate replacement for oil. “Energy-saving” solutions are an oxymoron — the 1st Law of Thermodynamics tells us so. Energy can neither be created nor destroyed. And it certainly cannot be “saved”. Actions have consequences. The burning of those fuels and their transformation into a plethora of chemicals has created all kinds of environmental problems. The oceans are fished out, the coral reefs are being destroyed by the acidity in those oceans, many animal species are disappearing, the glaciers are melting, droughts spread, we wonder what to do with the increasing quantities of nuclear waste, the vast mats of floating plastic in the seas continue to grow, and so on and so on. These problems will not go away because the 2nd Law of Thermodynamics tells us that any attempt to reduce entropy in one location (say the carbon dioxide in the atmosphere) will increase entropy elsewhere by a greater amount. “Sustainability” is an oxymoron. At the start of the 21st century financial institutions around the world tried to stimulate their respective economies by reducing interest rates to near zero and by issuing enormous amounts of unsecured debt. They failed because they did not understand that wealth is based not on money in the bank but on net energy. And our net energy is declining. Environmental issues, including climate change. These three topics all affect one another. For example, the easy to access resources are extracted first. The development of subsequent resources has a greater environmental impact. And the development of the later sources of energy requires ever increasing levels of investment. The three topics also tend to work on different time scales. The economic situation can change dramatically almost overnight. The resource picture changes more gradually, and environmental changes are more gradual still. So far as I am concerned, the future has no narrative. The future does not exist until it has become the past. To a very limited extent, prediction has worked. The sun, so far, has set and risen as we have expected it to do . . . all we can do to prepare rightly for tomorrow is to do the right thing today. The only certainty is that the future will not look like either the present industrial age or the time before it — we will create what is sometimes referred to as an Hegelian Synthesis, as shown in the sketch below. The “Thesis” in this sketch is the pre-industrial era — before the year 1712. The “Anti-Thesis” represents our current time: the industrial era. The “Synthesis” combines features of both the Thesis and the Anti-Thesis but is identical to neither. Given that we cannot predict the future it is still necessary to think though the broad outlines of where we are going. The following are the parameters that make up my own view of the Age of Limits Hegelian synthesis. Civilizations decline and disappear routinely. Our society is not immune from this dynamic; we are not special or different. We are entering a time that the author John Michael Greer refers to as “catabolic decline” — we will use more and more of our resources just to keep existing systems going. Hence fewer resources will be available for new technologies or for the development of alternative energy sources. The environmental impact of our activities will reach a point such that critical activities, such as the growing of staple foods, will be seriously impaired. The purpose of this blog series is not only to explore the multiple dilemmas that we have created for ourselves, but also to think through how engineers can help us navigate the troubled waters that lie ahead. First we must recognize that engineers are the woof and warp of the industrial era. 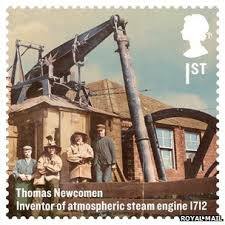 Consider Newcomen’s crude but effective steam-driven water pump. It is based on the thermodynamic understanding that energy from fossil fuels can create useful work (mechanical engineering). The engine was located inside a boiler-house that supported the power beam (civil engineering). 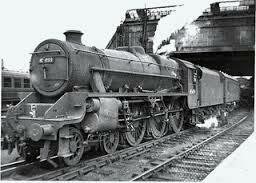 His successors would replace the human who operated the valves with automated systems (instrument engineering) and they would use the principles of his engine his engine to create railroads, steam ships and electric power plants. If engineers were instrumental in creating the society in which we live then maybe engineers have a responsibility to work out a path forward. What skills and attributes do engineers bring to the challenges that we face? Well, here are a few. We will discuss others in future posts. Engineers have a good grasp of the principles of thermodynamics. The first and second laws have already been cited — they can often be used to challenge superficial ways of thinking to do with terms such as sustainability, energy saving and growth. Engineers understand the problems to do with scale-up of good ideas. For example, it may be possible to build an electrically-powered automobile. But there are close to a billion vehicles of all kinds in the world (autos, train, airplanes, ships and trucks) — all powered by fossil fuels. 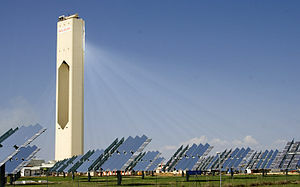 The development of a solar or wind power infrastructure to fuel such a fleet would require an enormous investment in a very short period of time. We have neither the time nor the money. Moreover, the development of that infrastructure will require vast amounts of fossil fuels to create the new power plants, transmission grids and vehicles. Engineers are often good at systems thinking. In The Cloud I mentioned that a small garage close to my home sells electrically-powered vehicles. They tout the fact that their cars do not have a tail pipe hence there are no carbon dioxide emissions. They conveniently forget that the power plant that creates the electricity needed by the car most certainly has a “tail pipe” in the form of a huge stack connected to the boilers that they operate. Fundamentally we need to understand that all human activities create externalities (see the post APEC Blue). It is vital that those externalities be defined and understood, otherwise actions taken with the best of intentions will make existing problems worse. I recognize that the majority of engineers work for large companies, either directly or indirectly. Even though individual engineers may understand the issues that are discussed here, their day to day work is part of existing industrial systems. There is no easy solution to this dilemma — only when industrial companies recognize that they will need to change their way of thinking (and that they can make a profit doing so) will these engineers have an opportunity to share their ideas. The key to understanding what happened in the first part of the 18th century is to realize that engineering was a consequence of the first inventions such as Necomen’s steam engine. Engineers did not respond to the first energy crisis, they were made by it. So it will be in the coming years — the responses to the challenges that we face will address the reality of what is taking place. It will not be the role of engineers to desperately maintain the status quo. But, if engineers and the companies that they work for can develop an understanding of the parameters of the Age of Limits then they have an opportunity not only to develop new technologies but also to create a new type of society. Their inventions will lead to the development of new industries, even to new types of society of ways of living. Indeed, if they become truly successful these engineers may get their names on a postage stamp. Engineering in an Age of Limits (this one). Resources — of which oil is the most obvious and most critical. Environmental — carbon dioxide in the atmosphere receives the most attention but there are many other environmental issues such as ocean acidification and soil depletion. Money — the most abstract, yet maybe the most urgent of the limits. Engineers had much to do with the creation of the industrial revolution (and the eventual depletion of oil reserves). And, as we move into the Age of Limits engineers will have both an opportunity and a responsibility to help create a new society and economic structure. The posts here will discuss how this might be done. We are working on a book to do with Engineering in an Age of Limits. 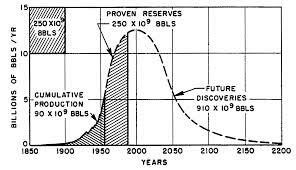 Explanations of Peak Oil basics such as the Hubbert Curve and ERoEI. These posts will be written for engineers, so they will not hold back on technical and mathematical concepts. Thoughts as to how society may change in the coming decades as oil resources deplete. The challenges and opportunities that engineers will face during those decades. The Cloud which pointed out that externalities go beyond simple environmental issues, and that, sooner or later, we — all of us — will have to pay for them. The background to this series is that we have entered an Age of Limits (economic, energy and environmental). Like it or not our world is going to get much simpler. It behooves those of us who are aware of this wrenching change to get out ahead of the curve. (An excellent introduction to these three topics is provided by Chris Martenson in his ‘Crash Course’. It consists of 26 presentations, each of which lasts for ten minutes. Time spent listening and watching these presentations is time very well spent.) And, I would like to think that that those trained in process safety management already have a good grasp of systems thinking. In the previous paragraph I used the phrase ‘Like it or not’. Our world is going to get simpler. We can deny the changes that are taking place; we can believe that “they” (whoever “they” are) will come up with something; or we can just hope for the best. None of these reactions make any difference: “Nature bats last”. Moreover, simplification is not going to be pretty — a topic we will discuss in future posts. But it would be irresponsible to deny the existence of the predicament in which we find ourselves. We need to take action — time is not on our side. 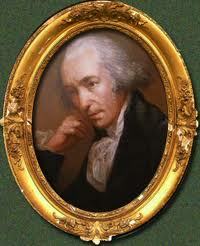 In previous posts I have cited the works of John Michael Greer. 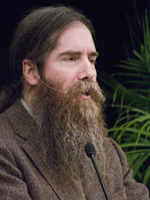 Since the year 2006 he has been writing a remarkable and very successful weekly blog entitled The Archdruid Report in which he clearly spells out the dilemmas that we face. In one of his posts he reports that, when speaking at one conference, he spontaneously came up with the phrase, “Collapse Now and Beat the Rush”. It is useful to provide the context in which he made the remark. Outside of that conversation, I doubt I would have thought of the phrase at all. 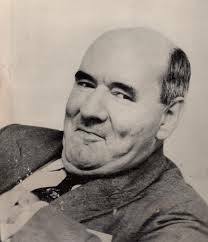 By the end of the conference, though, it was on the lips of a good many of the attendees, and for good reason: I can’t think of a better way to sum up the work ahead of us right now, as industrial society lurches down the far side of its trajectory through time. In other words, society as we know it — including the energy and process industries — is going to collapse (or at least change radically, whether we like it or not) and it us up to use to take charge of our destinies. Greer’s theory to do with ‘catabolic collapse’ is fascinating and deserves a thorough treatment in future posts in this blog series. But Greer and most of his readers are not, like most of the readers here, engineers or process safety specialists. His audience tends to focus on how individuals can respond to the dilemmas that we face or how political and social systems need to change. The challenge that faces those of us who work in industry is how to simplify industrial processes while maintaining our standards of safety and environmental responsibility. Which brings us to Trevor Kletz and his one-legged stool. I have had occasion on a number of times to refer to Trevor Kletz and his ability to tell stories (see my post That would be telling.) One of his better known stories was to do with the one-legged stool. Early in the 20th century a factory in England manufactured the dangerous explosive nitro-glycerine. The worker in charge of this process (the rather stout gentleman shown in the picture at the head of this post) was allowed to sit down but only on a one-legged stool. Hence if he dozed off he would fall and wake up. (Further information to do with this primitive, yet effective safety technique is provided at the Wat Tyler Country Park site.) The following is a quotation from that site. Highly unstable nitro-glycerine was the main ingredient of explosives made at the Pitsea factory. Making nitro-glycerine was very dangerous. 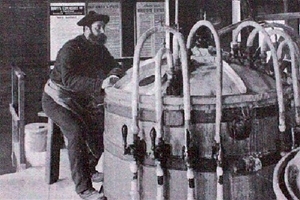 Concentrated acids were mixed with glycerine in huge vats. If too much glycerine was added too quickly to the mixture, it would become unstable, and a large valve would have to be opened to quickly dump the whole batch into a large vat of water. Failure to do this quickly could have led to a catastrophic explosion. Mostly, though it was very dull. The operator would sit at the mixing machine for long hours just looking at the dials to make sure the machine was working OK, and there was a good chance they could fall asleep on the job. A one-legged stool made sure they had to perch to stay awake. At Pitsea it seems this was very effective, because in all the years the factory operated they never once had to dump the Nitro-Glycerine mixture. It might be thought that the time and place of this example is so distant as to be not pertinent to modern industry. But I recall, early in my career, working at chemical plants in south-east Texas and in Europe where the clients made large quantities of ethylene oxide (EO) — a chemical that is both toxic and highly flammable. EO was stored in a large intermediate tanks (I would say at least 15 meters tall) that had absolutely no instrumentation at all — none, zippo. The only way of measuring the level was with a manual strapping gauge. To modern eyes this situation sounds extraordinarily hazardous, yet it worked — in many years of operation neither facility had a spill or any other type of incident to do with intermediate tanks. But the modern safety engineer could not live with such a situation, not least because it probably contravenes some industry standard or regulation. So he or she would carry out lengthy and expensive “studies” and determine that “something must be done” — even though there really isn’t a problem to be solved. The final recommendation will be that a sophisticated level control system be installed, backed up with a high-integrity Safety Instrumentation System. This new system may or may not make the operation of the tank more safe but it will most certainly increase capital and maintenance costs by orders of magnitude. And, more important, a complex system such as this is vulnerable to the Law of Unintended Consequences. If something can break it will. But with the one-legged stool, all that can break is the leg of the stool itself, and that can be fixed in no time flat. The increased complexity of the solution to the “Nitro-Glycerine (non-) problem” shows up in the elements of process safety. Stool: Very little information needed and none of it needs to be written down; stools have been in used for millennia; we know how they work and what they do. Instrumentation: Extensive; subject to error; out of date almost immediately; expensive to record and keep up to date. Stool: Short — keep an eye on the level and temperature and level in the vessel; turn one valve if things go awry. Stool: Negligible – the workshop can fix any problems in minutes. 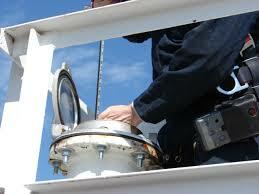 Instrumentation: Complex, subject to error and vulnerable to lack of skilled personnel; expensive. Stool: Sit on it, the test is complete in seconds. Of course, the above is written somewhat tongue-in-cheek. But the attractiveness of simple solutions cannot be denied yet it invariably avoided. Back to Trevor — he and his colleagues recognized the value and elegance of simplicity. They made it the fifth leg of the stool of Inherent Safety. But there is a profound difference between what Trevor propounded and what we are discussing in this blog series. This post is a continuation in the discussion to do with externalities — the costs of industrial activities that are borne by society and ecosystems as a whole; costs for which no one is responsible for addressing directly and which are not directly borne by the activity that created them. In this series we suggest that process safety professionals, many of whom have a good grasp of systems analysis, can make a useful contribution in addressing these issues. It may be thought that the “virtual world” in which we live reduces our externalities. However, as this post to do with “The Cloud” shows, these virtual systems are very physical, they require resources and they impact our world’s ecosystems. In our last post — APEC Blue — to do with engineering in an Age of Limits we discussed the topic of “externalities”, the costs associated with all human activities that are not charged to that activity directly but that are dumped on society and on the world’s ecosystems. We will keep on raising this topic in future posts because it is so integral to the systems thinking — an area in which process safety professionals can provide leadership. The title of that post referred to the blue skies that “magically” appeared during the few days that the international APEC Conference was being held in Beijing. In order to cut back on air pollution heavy industry in the area was shut down and motor traffic was severely restricted. Once the conference was finished industry and traffic returned to normal and the people returned to their air masks. The following is from a newspaper report published after the conference. Beijing issued its first yellow pollution alert since the Apec summit when the capital was choked in thick smog today. 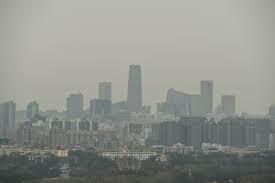 The Air Quality Index reading for Beijing was 316 – meaning the air quality was “heavily polluted”. The reading from the US embassy stood at 346. But now it appears as if an increasing number of Beijing citizens are wondering why they ‘APEC Blue’ cannot be a permanent part of their lives. These people understand that there is a cost associated with externalities. The basic idea behind externalities, sometimes referred to as the “Tragedy of the Commons”, is that our financial and management systems do not include all the costs associated with our activities. In the case of air pollution in China the owners of the factories that make steel and chemicals account for the direct costs associated with their business (labor, raw materials, electricity, and so on) but they do not consider the costs associated with the pollution that they produce. For example, if a citizen has to purchase an air mask she cannot charge the cost of that mask to the factory owners in their area. If fishermen lose their livelihood because the rivers are polluted then they have to bear that cost. I must stress that I am not singling out China as being a special case of ignoring externalities. The true situation is more subtle. Companies in Europe and the north America are required to address at least some of the costs of their externalities in the form of relatively strict environmental rules. One “solution” to the cost of meeting these rules is to transfer manufacturing activities to parts of the world where the rules are not so stringent. But that means that, if someone in Europe or the United States purchases a product made in China then that person is, to some extent, responsible for the air pollution created in making that product. The second example of externalities that I gave last week was to do with exhaust emissions — all vehicles, including “green” electric cars and including the car I personally drive, dump CO2 and other gases into the atmosphere. The fact that those gases are slowly but surely messing up the planet is someone else’s problem — it’s an externality. Once the exhaust gases have left the end of my tail pipe they have “gone away”. We prefer not to think about the meaning of the word “away”. f) Technological progress in a market economy is therefore self-terminating, and ends in collapse. These six points open up a lot of areas for discussion; I will attempt to tackle some of them in future posts. I have highlighted the third item for consideration in this week’s post. What Greer means is that the people who create the externalities (steel producers in China, drillers in North Dakota, banks everywhere, automobile drivers everywhere) have a strong incentive to dump the problems that they create. But the “environment” (where that word is used in the broadest sense) has very little voice in the final decision. And everyone will have to make a payment eventually — including those who created the externalities. The piper must be paid. The costs of externalities are real, even though they do not appear on anyone’s income statement. Those costs are paid by us all, including those who created the externalities. If the process of creating unaccounted for externalities is allowed to continue indefinitely the system will collapse. It should be stressed that externalities are not just environmental problems. For example, government subsidies are an externality. If a business needs a government subsidy in order to be “profitable” then that business is relying on an externality: a cost that it is not paying for directly. It is being supported by society as a whole. And if the government in question has to borrow the money to pay the subsidy then those costs are being borne by our children and grand children. We also need to recognize that externalities can be subtle — even invisible. For example, I write this post sitting quietly in an air-conditioned room with just a computer, monitor, keyboard and wireless connection to the Internet. No smokestacks, no smog, no polluted rivers. I am in a cloud. Yet this apparently simple technology is supported by an enormous range of industrial facilities, including power plants (coal, gas, nuclear), server farms, container ships and rare earth mining. Hence my writing of this blog is creating all kinds externalities that are invisible to me. 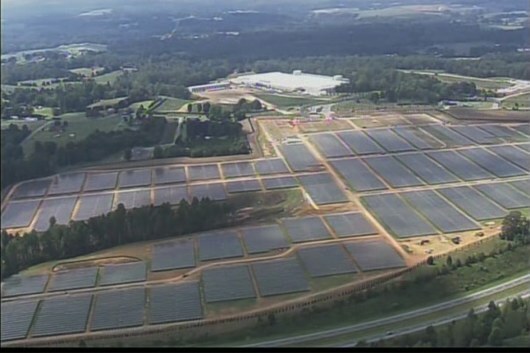 For example, the picture below shows the nearly-complete server facility (along with the associated solar panel farm) built by Apple in North Carolina to provide its cloud services. It is obvious from this picture that the cloud is not some wispy abstraction; it is very real, very physical, very large and it creates many externalities. Not only is the physical cloud invisible to most of us, it creates costs that may be invisible to the companies that rely on it. CIOs . . . are concerned about a range of hidden costs that may only surface after things are up and running — such as poor performance, or issues with service availability. What happens when the service runs slow, and transactions back up? What happens when end-user customers get frustrated at slow Website performance? This comment spoke to me. I am a gardener. Last year I spent quite a bit of time filling out an order form at a certain seed company’s web-based catalog. After I had finished entering my order the web page froze up. I called the company’s telephone number but the person who answered the phone was trained only on how to fill orders — he had no idea as to how to handle a call to do with a frozen web site. So I hung up, abandoned the web site and placed my order with a competing company; it is unlikely that I will ever bother with the first company again. There are two points to this simple story. By outsourcing/externalizing its business to “the cloud” the company lost a customer. They may have thought that their efficiency had increased — in fact it had crashed to zero. The managers never knew that they had had a problem. Far from improving communications with their customers externalization had destroyed communications. If we are to come to terms with the many problems that we face, we badly need to understand systems thinking. And that is where process safety professionals can help. The story that I am going to weave for you cuts across all three “E”s and will make the claim that our very economic system is badly out of step with reality and will suffer severe instability and possibly collapse as a result. It is fair to say that this particular constellation of issues, problems if you will, has never been faced before at these levels. Not in your country’s history. And not even in human history – at least, not on such a global scale. Whether you find this terrifying or exhilarating is simply a matter of your mindset. What he does not say is that any attempt to resolve these apparently intractable problems is going to require systems thinking. In this week’s Archdruid Report — The Externality Trap, or, How Progress Commits Suicide — one of the commenters, “Stein L”, had the following to say about the Chinese economic miracle. When hosting the APEC summit in Beijing, Chinese authorities did something they’ve apparently later come to regret. They instituted a ban on manufacturing activity and motoring inside a large radius circle around Beijing, in order to reduce air pollution. During the conference, the skies above the city were blue, something people hadn’t seen for a long time. The phenomenon was so astonishing that it earned a nick name: APEC Blue. It also raised a clamor for something to be done about the externalities of the Chinese economic “miracle.” APEC Blue brought the cost home to those affected. We fixate on isolated benefits of technological progress, and fail to see the larger picture. . . 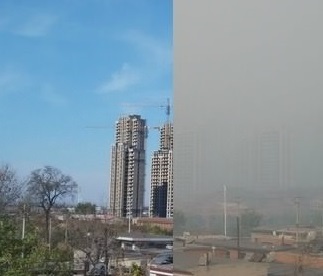 The citizens of Beijing had come to see air pollution as something natural, because they so rarely saw a clear blue sky. . . The “smell of money” made them blind to what they were miring themselves in. Most readers probably expect me, at this point, to start discussing environmental issues. And certainly it is becoming increasingly evident that the Chinese authorities are going to have to get to grips with their dreadful pollution problems — which include not just foul air but soil loss and the contamination of fresh water. But there is a larger point here, one that applies to all of us, and that is to do with the topic of “externalities”. The companies in China that manufacture steel and other industrial goods dump their pollution on to society as a whole — they do not have to include those costs in their financial statements. Yet these costs, sometimes alluded to as “The Tragedy of the Commons”, are very real. Just because no one has to directly account for them does not mean that they can be ignored. 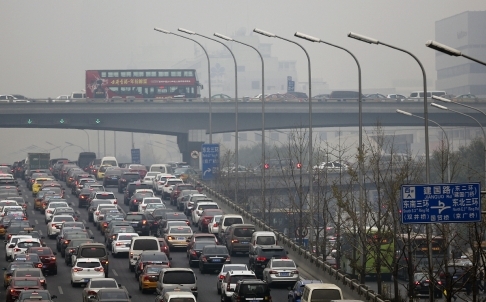 Now let me say immediately that this that is not a uniquely Chinese problem — indeed anyone who drives a car (including myself) is creating an externality; when we buy and operate our cars we do not include the costs to do with the CO2 that we dump into the atmosphere. That cost is not our problem. “They” will come up with a solution. What are the emissions of the power plants that generated the electricity that the car uses (after all, the power plant converts hydrocarbon fuel into electricity which is then converted into motion whereas a normal car converts hydrocarbon fuel directly into motion)? What are the emissions associated with smelting the steel and other materials needed to fabricate this car’s special features? What are the emissions and disposal problems associated with the batteries that the car uses?
. . . and so on and so on. A hard analysis of these questions could demonstrate that the nice green car is actually dirtier than a simple, economical gasoline car. Who knows? Has anyone done the analysis? Our thinking stops at the end of the tailpipe. So what does all of the above have to do with Process Safety Management (PSM) — the topic of this blog series? I started in the PSM business in its early days: the late 1980s. This was the time when the first regulations on the topic were being hammered out by OSHA and other agencies. (Individual companies had their own PSM programs but there was no industry standard or consensus.) They were exciting times — I recall some of the first conferences were packed out, people were squeezing into the conference rooms to hear those first papers. And I also recall that the very first time that I saw the phrase “Process Safety Management” my immediate and instinctive response was that it should not include the words “Safety”. A well-designed and implemented Process Management program will help improve all facets of an operation: environmental, production, human performance and — incidentally — safety. 25 years later I still adhere to this view: Process Safety Management in not about safety — it’s about management. It is why, throughout my career, when someone has said that I am “in safety” I have pushed back; I am no more (and no less) “in safety” than any other employee. For the same reason I have always refused to have the word ‘Safety’ on my business cards. My second reaction to the initial PSM standard was that it was about systems. Here are the fourteen elements from the first OSHA standard (they haven’t changed much). The elements of process safety have strong interaction with one another — it is not possible to meet the requirements of one of the elements without considering its effect on the others. The inter-connectedness of the elements can be illustrated by considering the development of an Emergency Response Plan, in which the following sequence of actions—involving seven of the elements may occur. 1. The writing of the Emergency Response Plan (Element 12) requires a knowledge of which hazards have to be addressed. 2. Consequently a Process Hazards Analysis (Element 3) is required to identify the hazards. 3. In order to be able to carry out the hazards analysis, information from sources such as P&IDs and material safety data sheet (MSDS) is needed. Much of this information is included in the Process Safety Information (Element 2) . 4. Once the Emergency Response Plan has been developed, it will be necessary to train everyone in its use (Element 5). 5. The Emergency Response Plan has to be audited on a regular basis (Element 13). 6. During the training process, those being trained will come up with ideas that will improve the quality of the Emergency Response Plan. This is Employee Participation (Element 1). 7. After going through the Management of Change step (Element 10), these ideas can be used to upgrade the emergency manual. When considered in isolation, many of the elements appear to be the “most important.” For example, Employee Participation could be considered to be the key element because, if the employees do not participate in the process safety program, then that program will not function properly. But Management of Change could be considered the “most important” because the root cause of all incidents is uncontrolled change. On the other hand, all of the elements require a solid base of up-to-date, comprehensive information. Therefore, Process Safety Information is the “most important.” But then it could be argued that Incident Investigation is what really matters because incidents reveal what is really going on in the organization. The answer, of course, is that none of them are “the most important”. They are all part of a holistic system. 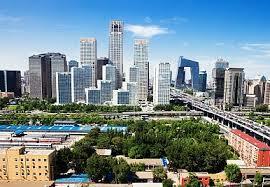 Which brings us back to “APEC Blue”, the skies of Beijing and the issue of externalities. The whole environmental movement can be viewed as being an attempt to introduce systems thinking into our industrial and commercial processes. Chemical plants, offshore production platforms, oil refineries and even green cars do not not operate in isolation — each is part of a system, and all of the system costs should be included in their operations. A similar way of thinking applies to energy production. For example, people point to wind power as being an acceptable alternative to the hydrocarbon fuels (coal and natural gas) that we currently use to create electric power. After all, wind energy is completely clean and it does not require us to create any kind of waste. But let’s dig down a little. The wind turbines and their support towers have to be manufactured from steel, and that steel has to be smelted and the smelting takes energy — energy that is provided by natural gas in most cases. Going back a step, the steel is made from iron ore which is mined using diesel-powered equipment. And that equipment is also made from steel and other raw materials — all of which take (hydrocarbon) energy for their manufacture. And all these products and intermediate products have to be transported, mostly using diesel-fueled trucks. Even when the wind turbine has been erected and is in operation it requires lubrication (oil), spare parts (steel and other materials) and electronics (rare earths). The point, of course, is that wind energy is not a stand-alone solution — it is part of a bigger system, and should be treated as such. Based on the current industrial infrastructure it is inconceivable that a wind power system could be built and operated using wind power alone. Earlier in this post I noted that Process Safety Management got its start in the late 1980s. So the topic is now at least 25 years old. It is mature; it is no longer exciting. There have been few conceptual leaps in our understanding of PSM in recent years. For example, most of the papers at PSM conferences now discuss detailed issues such as which types of process hazards analysis to use in which circumstances. Ironically, this apparent lack of big changes can be seen as something of a compliment to the PSM community. Although no PSM program is ever complete great strides have been made. We were faced with a problem twenty five years ago and we addressed that problem. Which begs the question as to whether Process Safety Management can make the kind of conceptual leap that it did in the 1980s or whether it will continue to improve only incrementally. And it is in the arena of systems thinking that I believe that process safety professionals could make a great contribution. As I already showed with regard to the first OSHA standard, systems thinking was baked into the PSM pie from the very beginning. However most of those elements refer to internal processes only — there was, at that time, little consideration of issues “over the fence”. But this attitude is changing. For example, the Center for Chemical Process Safety (CCPS) has developed an updated list of PSM elements (they have a total of 20). One of them is Stakeholder Outreach. Stakeholders include people living near the facility, stock holders and local businesses. They all want to be associated with a facility that operates safely, cleanly and profitably. This is good, as far as it goes, but, in its present form, it has three drawbacks. First, the concept of stakeholders it does not exhibit systems thinking. The manager of a process facility may work with people in the community, for example, to ensure that they understand how that facility interacts with their lives (both positive and negative). But the overall system impact of the facility is not considered. Second, and related to the above comment, stakeholders are generally people who know about the facility and are aware of its benefits and costs. But true systems thinking considers the entire impact of a facility’s operation. Consider the following headline from the Guardian newspaper (2015-02-12). Climate change is likely to cause decade-long mega-droughts across US south-west and Great Plains. 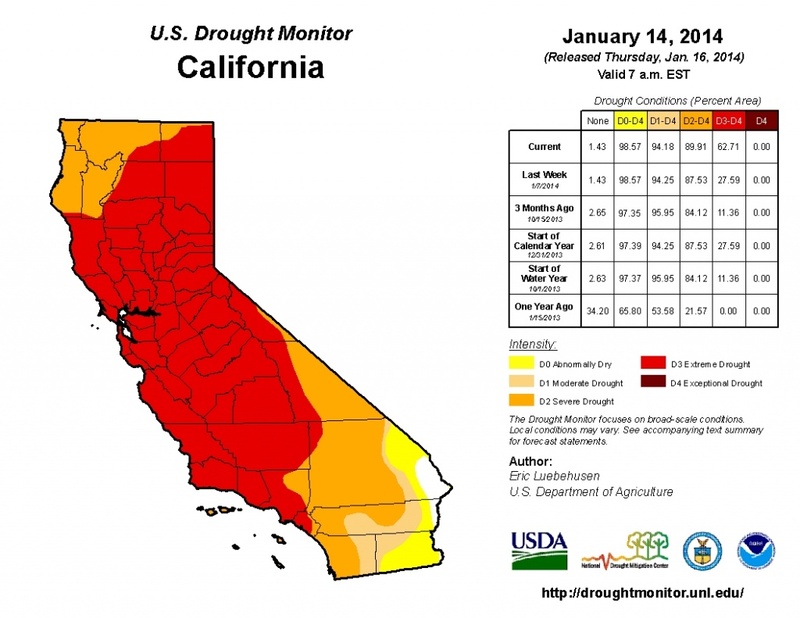 Not only is the State of California undergoing an unprecedented four year drought — it appears as if that area is heading for a 100 year drought. So we have a situation where a California chemical plant that manufactures fertilizer is generating emissions that are destroying the agricultural business on which it relies. But the system effect is world-wide. Chemical plants in California and steel plants in China each affect the climate of the other country. The third difficulty to do with the phrase ‘Stakeholder Outreach’ is contained in the very word ‘Outreach’. The word seems to imply that we are here, doing what we are doing, and that we will choose to talk to other people. In point of fact, every industrial facility is ‘outreaching’ whether it likes it or not. It takes raw material from the earth (either directly or indirectly); it consumes energy and it produces waste products as entropy. Outreach is not a choice. So this is the opportunity for process safety professionals. Our industrial systems are part of the world biosphere. 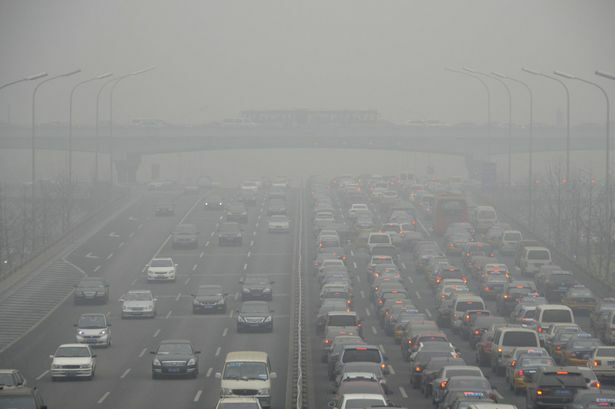 Just as our “green cars” affect the climate of China, so their industry affects our weather patterns. As Greer says we need people who are willing to pay attention to the natural cussedness of whole systems. When I give talks at conferences I am sometimes asked by younger process safety professionals for advice as to the career path they should select. I avoid answering their questions because (a) I am not qualified to do so, and (b) it is difficult to talk thoughtfully in the informal and rushed atmospheres that prevail at such meetings. Nevertheless, as we enter the Age of Limits it is only reasonable that individuals should consider their career options, so I thought that I would use this post to jot down a few thoughts on the topic. As always, feedback is appreciated. As I have said many times, I am not a fortune teller — I do not know what the future holds (and neither does anyone else) so any thoughts on this topic have to be very general in nature. All I can say is that I am certain that many changes are ahead — and not all of them will be pleasant. Therefore, when considering career decisions I suggest that the biggest pitfall to watch out for is an assumption that the future will be a linear continuation of the present and that tomorrow will look very similar to today. Such an assumption leads to the risky conclusion that the right career choice for current times will be the right one for the world of 20 years hence.
. . . you can’t connect the dots looking forward; you can only connect them looking backwards. So you have to trust that the dots will somehow connect in your future. You have to trust in something — your gut, destiny, life, karma, whatever. This approach has never let me down, and it has made all the difference in my life. But before developing these concepts it is vital to keep an eye on the value of safety. What has happened in recent years is that more and more companies are saying, “Safety is its own value, independent of other values”. They do not trade off safety and production, even both are values; safety always wins. (For this reason I tend to be cautious about concepts such as ALARP – As Low as Reasonably Practical Risk – because they suggest that we have to accept at least a base line of injuries and fatalities. As discussed in The Newness of Safety maintaining this concept of Safety as a Value is going to be a major challenge for the next generation of engineers and safety professionals. The reason being that, until now ,moneys for safety programs have generally been available if the justification is strong enough. We may be entering a time when such moneys are not available — no matter how strong the justification may be. All of these people may make their living from the refining industry but most know very little about it. One of the questions in the quiz was, “Have you ever had crude oil on your hands?” It is doubtful that more than just a few of the people listed above can answer “Yes” to that question. As industry becomes more local and simpler there will be less need for intermediaries and less money to pay them. Hence the people working at a refinery, for example, will be expected to directly contribute to the manufacture of refined products. Any job that involves optimization or writing reports or conducting analyses is going to have less and less value. One way of looking at this is to suggest that jobs that consist mostly of typing symbols into a computer screen will be both less useful and less secure than they are now. In this context there is really no substitute for industrial experience. It is one thing to learn about a topic from books and videos but it is quite another to learn from the school of hard knocks. Industrial experience includes not only a hands-on knowledge of industrial processes and equipment, but also an understanding of the realities of client/consultant relationships, the resistance that managers have toward spending money on safety, problems at the management/union interface and how government agencies actually enforce regulations. The poet John Donne told us that, “No man is an Island, . . . , /And therefore never send to know for whom the bell tolls/It tolls for thee.” His point is that we are all part of many communities — at work, at home and in our social life. When someone dies a little piece of us dies with them. An industrial process, such as a refinery, can be seen as being part of a larger community — and in the modern world that community is often global. Equipment and instruments are manufactured on the other side of the world, education is carried out through international webinars, customers are everywhere and constantly changing and the enterprise is supported by a bewilderingly large array of support services from a wide variety of sources. As resources become less available it is likely that many of the complex supply chains will crack and that these highly specialized support services will either disappear or become too expensive to sustain. Increasingly, industry will have to draw upon local resources and services. Hence a successful professional will develop a network of relationships with other people and companies in the local area. He or she can then use that network to help keep his own facility running safety and smoothly at a time when operating conditions are difficult. 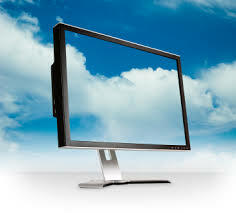 That network can also be used to find local customers for the products that his company makes. In the Jack of All Trades post we introduced Joseph Tainter’s chart to do with complexity. His argument is that complex societies, such as ours, react to problems by increasing complexity. This is an effective strategy if that society is in the left-hand section of the curve, i.e., if the incremental benefits from the action are greater than the incremental costs. However, if a society is on the right hand side of the curve then responding to problems by adding complexity is just the wrong thing to do. The immediate problem may be solved but the system costs associated with the action exceed the benefit. 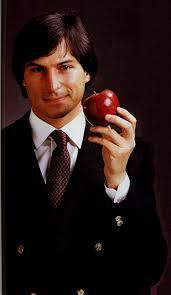 We have already quoted Steve Jobs once. Here’s another of his insights. The concept of simplification can be applied to career choices in an Age of Limits. When an engineer has to choose between two courses of action it is preferable to select the one that uses the fewest resources, that is simpler to operate and maintain and that does not require high levels of specialized skill from the operations and maintenance personnel. 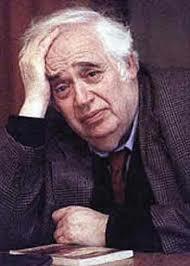 In his book The Collapse of Complex Societies Joseph Tainter quotes Hardin, “We can never do merely one thing”. Tainter goes on to say, ‘. . . good intentions are virtually irrelevant in determining the result of altering a large, complex system. With the feedback relationships inherent in such a system, one can almost never anticipate the full consequence of any alteration.’ This insight is often summed up in the term ‘The Law of Unanticipated Consequences’. When resources are plentiful it is possible to correct unexpected and unwanted changes caused by system feedback. However, if resources decline it will be more difficult to do this. Therefore the person who is able to anticipate changes and who can add resilience to a system in anticipation of problems will be particularly valuable to his or her employer. The work of a person who thinks and works holistically is not limited to a single, narrow detailed specialized sphere; instead he can understand management, technical and human systems, and how they interact with one another. It is often thought that Charles Darwin used the phrase ‘Survival of the Fittest’ to explain his theory of evolution. 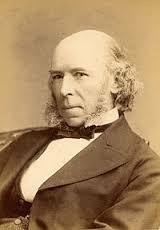 In fact the term was created by Herbert Spencer (1820-1903). However a better term to explain evolution is ‘Survival of the Adaptable’. The following quotation has also often been incorrectly attributed to Darwin, but it still makes sense. In the context of employment in the industries of the future, I suggest that it is those who are able to understand the changes that are going on around them and can then adapt to those changes will flourish whereas those who are merely ‘fit’ to conduct today’s activities well will find that their contributions will become less valuable. One aspect of adaptability will be the ability to cope with unpleasant surprises. Someone who is adaptable will swing with the punches when they find that a critical spare part has not arrived or that the electrical grid is increasingly erratic. He or she will come up with short and medium-term fixes to problems such as these. In last week’s post we discussed the drought situation in São Paulo, Brazil. It turns out that this is not the only part of the world suffering from the effects of no rain and a sinking water table. 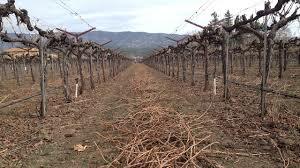 In parts of central California the situation is even worse, as reported by the New York Times. The lesson to be learned from situations such as these is that resource limitations go beyond Peak Oil — many other finite resources, of which water is probably the most important, are declining to the point where irreversible shifts in the way that people work and live are taking place. And now on to this week’s post. This series of posts is to do with “Engineering in an Age of Limits” and the problems and challenges that society faces and, more specifically, how they will affect industry. However simply listing the problems and difficulties is a discouraging and rather pointless exercise; engineers and safety professionals have an opportunity and a responsibility to suggest means of responding to these difficulties — in particular making sure that the concept of Safety as a Value is not lost. Moreover, the qualifications and work experience of many engineers and safety professionals are such that they can become leaders to a much larger community. In order to grasp the range of issues that we face it useful to list the titles of the posts that have been published so far in this series and to examine the number of topics already covered. In The Newness of Safety we showed that the concept of “Safety as a Value” is a cultural artifact, one that was developed in the early days of the Industrial Revolution. The challenge that all engineering professionals will face in coming years is to ensure that that ethic remains unchallenged. In Nine Pounds of Gold we showed that the absolute quantity of a resource (whether it be gold, oil, ground water or anything else) is is not what matters when we are determining how much of that resource can be economically extracted from the earth. It’s a rate, not a quantity, function. Thinking the Unthinkable demonstrated that technological progress is not a given and that regress can and does occur. Hence safety professionals should be cautious about relying on technology to solve their problems. Pop Quiz used the refining industry to note how many people who actually know very little about the oil business nevertheless make their living from it. It showed how complexity adds cost and suggests that the best way of making industrial systems safer is to make them simpler. We Hope It Rains discusses the opportunity and responsibility that engineers and safety professionals have to communicate the facts to do with the issues that we face. 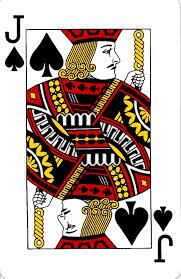 The variety and range of the topics is the reason for the selection of the title for this post: Jack of All Trades but Master of None — a phrase that is normally used in a pejorative sense. It indicates that the person in question knows something about many things but is not an expert in any one topic, and hence that person cannot be fully trusted to do a job right. Hence, so conventional thinking goes, it is better to bring in a specialist. But, as with every proverb or slogan, there is an opposite saying — in this case: “An expert is someone knows more and more about less and less until he knows everything about nothing.” In a world where resources are plentiful it makes sense to divide tasks into narrower and narrower parcels with each parcel to be handled by a specialist. But in an Age of Limits it makes more sense for activities, including safety activities, to be managed by generalists. And it in this area that many safety experts excel. Listed below are the attributes of this ideal person. A key skill that a safety professional possesses is that he or she is rarely an expert in some particular field of technology — instead he is eclectic, he has a grasp of the big picture and thinks holistically. Too much expertise in one particular area of safety can actually be a handicap. In other words, effective safety management is based on systems thinking, not technical specialization. These skills are going to be of supreme importance in the years to come. Safety professionals understand that an industrial facility consists of a vast web of inter-connected systems, some to do with equipment, some with management processes and others to do with people/human factors. The overall system needs to be thought about holistically, as illustrated by the following quotation from Process Risk and Reliability Management. The elements of process safety have strong interaction with one another — it is not possible to meet the requirements of one of the elements without considering its effect on the others. The inter-connectedness of the elements can be illustrated by considering the development of an Emergency Response Plan, in which the following sequence of actions may occur. The writing of the Emergency Response Plan requires a knowledge of which hazards have to be addressed. Consequently, a Hazards Analysis is required to identify the hazards. In order to be able to carry out the hazards analysis, information from sources such as P&IDs and MSDS is needed. Much of this information is included in the Knowledge Management program. Once the Emergency Response Plan has been developed, it will be necessary to Train everyone in its use. The Emergency Response Plan has to be Audited on a regular basis. During the training process, those being trained will come up with ideas that will improve the quality of the emergency response plan. This is Workforce Involvement. After going through the Management of Change step these ideas can be used to upgrade the emergency manual. A professional’s first responsibility is to frame a discussion with facts. This issue was discussed in last week’s post We Hope It Rains. The facts to do with issues such as oil depletion, droughts and increasing debt are well established. The catch is that all true scientific statements are hedged with qualifications. 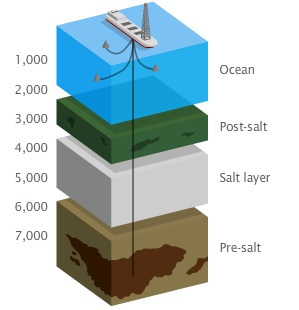 We cannot be totally sure about these topics; it is possible that, in the next few years, we will discover multiple oil fields that have a high ERoEI, are readily accessible and that produce enormous quantities of low sulfur crude. It’s possible, but highly unlikely. But if an issue has say a 95% probability of occurring as determined by a large majority of qualified scientists then it is the height of irresponsibility for someone to say, “There are some uncertainties in the findings of this report, therefore I choose to ignore its conclusions. I will go with the 5%.” If it then appears that such a statement is used to justify a lifestyle that consumes large amounts of energy or that is highly polluting then one has strong reasons to doubt the integrity of the speaker. Related to the above issue is the topic of belief. People will say that “they do not believe” in something. There is nothing wrong with this — we all have beliefs and value systems; they are an essential part of who we are. What is wrong is to distort facts to justify such beliefs, i.e., to cherry pick a few facts that are contrary to the general conclusion and thereby create factoids. An example is the recent drop in crude oil prices from around $110 to $80/barrel. This does not really tell us anything about the supply of crude oil in the ground — for that the only figure that matters is the cost of extracting the next, incremental barrel. And that value continues to increase apace. Nevertheless the factoid of lower prices at the pump could be used to justify the purchase of a gas-guzzling vehicle. Many discussions on these topics focus on human and social parameters such as politics, economics, human factors and personal relations. But such discussion should always be grounded in the hard realities of thermodynamics, physics and geology. If we create fiat money but do not increase the goods available to match that new money then we have not created real wealth. No matter what we think, Nature Bats Last. Another role that engineers and safety professionals can play is to make sure that language, particularly technical language, is used correctly. Not only does this reduce the chance of misunderstandings it helps mitigate emotion, wishful thinking and statements of belief. A simple example to do with language concerns use of the word “production” as applied to the crude oil. We do not “produce” oil — we extract it. And once it is gone, it is gone. Crude oil is a non-renewable resource. Extracting oil from the ground is analogous to making ourselves richer by spending our savings, not by creating new sources of income. Another example of the sloppy use of words can be seen in the phrase ‘Energy Crisis’. The person who uses those words is generally saying that we are running out of energy and that therefore our society will eventually grind to a halt unless we come up with an alternative. But a moment’s reflection shows that the term really does not make sense. The First Law of Thermodynamics tells us energy cannot be created or destroyed (leaving aside nuclear reactions) — energy can only be changed in form. Therefore there cannot be an ‘Energy Crisis’; hence any program designed to solve this ‘crisis’ is likely to lack focus at best, and be a waste of time at worst. A related example of the misuse of language concerns the word ‘Sustainable’. 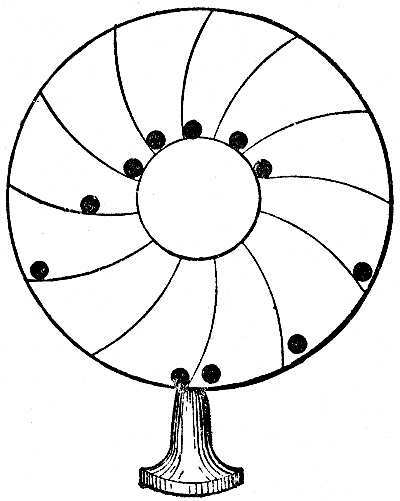 It is thought that if we recycle waste materials we can develop an ecological perpetual motion machine. But this cannot be: the Second Law of Thermodynamics tells us so. Whenever we do any kind of work, including recycling waste materials, the entropy of the overall system will increase. No activity is truly sustainable. This does not mean that we should not recycle — but it does mean that we should be realistic about the meaning of the words that we use. W. Edwards Deming (1900-1993) famously said, “In God we trust, all others must bring data”. This is a concept that most engineers should be comfortable with. One example of this trait has already been given in Nine Pounds of Gold., which introduced the concept of Energy Returned on Energy Invested (ERoEI), the units of which are very simple: Joules / Joules. It is a dimensionless number (the Reynolds number which helps define the degree of turbulence in a flowing fluid is another widely used dimensionless number). The use of numbers helps resolve “I think / You think” disputes. We have just outlined some of the attributes that the ideal engineer would have when discussing issues to do with the Age of Limits. There is one area, however, in which most engineers and safety professionals are not all that strong, and that is the use of the liberal arts, particularly history, to provide an understanding for what they are seeing and doing. Those who read these posts will have noticed that we often draw analogies between what is going on now and what has taken place in earlier times. Like all analogies these comparisons break down if pushed too far, but they do provide a useful framework in which to think issues through. And we have frequently stressed not only the importance of being able to write creatively but also on knowing How to Read and Why. The above phrase was coined by Herbert Spencer (1820-1903) in the year 1864 after he had read Charles Darwin’s On the Origin of Species. In the context of this post’s discussion a better term might be “Survival of the Adaptable”. None of us know what changes are ahead of us but it is our responsibility to look facts in the face and not indulge in wishful thinking or hoping for the best. Those of us who understand the changes and can adapt to them will have the most success in maintaining the highest standards of safety and the well-being of the organizations that we work for. Here is a pop quiz for those who make their living from the oil refining business. The refinery that provides you with your salary/consulting fee/taxes/contract payments processes 75,000 barrels of crude oil (12,000 m3) per day. 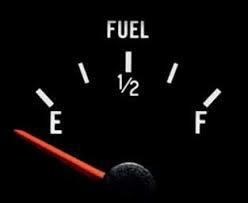 How long will it take to fill the tank shown in the picture? 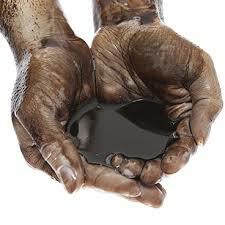 Have you ever had crude oil on your hands? I don’t even know where to find some crude oil to put on my hands. That would be contravening HSE rule 33.121.§H(c).subpart(iii). What is your reaction to the picture on the left? Oh dear! They are so 1980s. Our new instrument systems measures level every hundredth of a second to an accuracy of ±0.01%. What planet have you been living on? There are no “correct” answers to the above questions but the following responses indicate that you are a true refinery worker. But consider all the other people who work in the refining business (or at least derive their income from it). I have absolutely no idea how many of the people in the above list could answer the three questions “correctly” but I would be surprised if it were more than one in a thousand. In other words the refining industry has become very complex and has attracted to itself a host of specialists who make a living off it but who are not actually directly involved in the production of gasoline or other refined products. And, of course, these comments do not apply to just the refining business. Any technical activity — drilling for oil, manufacturing chemicals, pipeline operation — you name it, gathers around itself a constellation of peripheral activities and actors. I also visited the Glasgow Museum of Transport. It was very interesting and I recommend a visit, but ultimately it was so dispiriting that I wanted to leave. The exhibits all seemed to have the same message regarding industry in the Glasgow area. Here is a view of the Glasgow Harbour (but there are no commercial ships in it). The following is from an earlier post, A Magnificent Navy on Land. I wish to express my deepest concerns about the future of the European chemical industry. Sadly, I predict that much of it will face closure within the next 10 years . . . In the UK we have seen 22 chemical plant closures since 2009 and no new builds . . .
One has to wonder how modern-day English and Scots will survive in a world where they actually have to make something rather than merely provide services to one another. The thread that runs through the above discussion is complexity. The ability of a wide variety of service-providers to make a living from refineries is an example of complexity even though refinery activity is diminishing; ; the ability of entire nations to largely de-industrialize but still remain reasonably prosperous is another example. John Michael Greer explains the issue of too much complexity in his description of the modern health care industry.
. . . we’ve long since passed the point at which additional investments in complexity yield any benefit at all, but the manufacture of further complexity goes on apace, unhindered by the mere fact that it’s making a galaxy of bad problems worse. Do I need to cite the US health care system, which is currently collapsing under the sheer weight of the baroque superstructure of corporate and government bureaucracies heaped on top of what was once the simple process of paying a visit to the doctor? He goes on to say that the health care industry is not unique in its tendency to solve overly-complex problems by adding further complexity. We can describe this process as intermediation — the insertion of a variety of intermediate persons, professions, and institutions between the producer and the consumer of any given good or service. The situation is reminiscent of Kafka’s novel The Castle. And we need to face the reality that most safety professionals fall into the category of intermediaries. They provide a valuable service to the process industries but often they do not actually make anything or even contribute directly to the making of anything. However, as the Age of Limits starts to bite — they, like all intermediaries — will find it increasingly difficult to find funding from the refineries and other industries because those industries will be struggling just to keep production going. 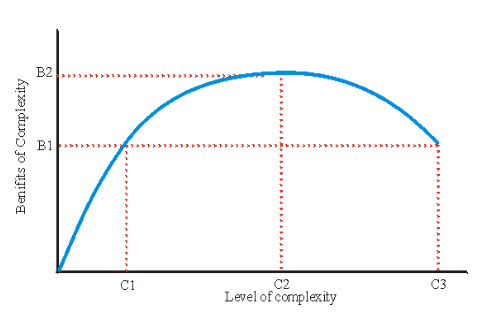 Adding complexity leads to diminishing returns. The first of these issues — that additional complexity adds costs — is evident from the length of the above list of professionals who are paid by the refining industry but who do not actually make gasoline. For example, when faced with the challenge of preventing large accidents the reaction of many safety specialists is to develop models of the system being studied and then to generate case studies. This analytical work is, in and of itself, highly complex. It involves hiring specialists, training them in the company’s safety procedures, organizing computer facilities, training managers to understand the final report, and so on and so on. Moreover, the recommendations resulting from all this analytical work are likely to result in yet more complexity to be added to an already complex system. The safety specialists need to understand that such an approach makes sense only if that industry can pay for the added complexity. If the industry cannot make that payment (where payment is measured not in dollars or euros but in barrels of oil) then solutions of this type merely make a bad situation worse. But the difficulties to do with increased complexity are more troublesome than mere cost. One of Tainter’s most disturbing observations is, “Complexity in problem solving causes damage subtly, unpredictably, and cumulatively”. What he means by this is that solving one problem can have unpredictable and often negative effects on the entire system. It is an example of the Law of Unintended Consequences. For example safety programs can themselves actually reduce overall safety. A sub-system is made safe at the expense of the overall system. The following are examples from the offshore oil and gas industry. A maintenance technician was replacing stair treads (a routine task) in order to ensure that no one slipped when walking on the stairs. During the course of his work the technician fell through a gap in the stairs and died of his injuries. A technician was preparing to stop a very small leak that was creating a near-trivial environmental problem. 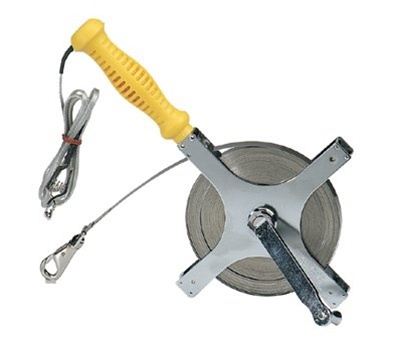 As he was setting up the task a drain valve fell out and he was seriously injured. It was found that actually launching lifeboats during evacuation drills was hazardous. Indeed, in one such drill a man died. Even if an activity does not increase overall complexity and/or cost too much, questions need to be raised about its value. 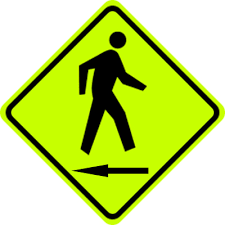 Safety work, like every other human activity is subject to the Law of Diminishing Returns. Which single invention did the most to save lives in American industry? I don’t have documentation to answer this question, but I have heard it is the item shown in the picture below (which I took about ten years ago). The answer is the knuckle coupler, invented in the latter half of the nineteenth century. Prior to this invention men had to go between rail cars to connect them. This was very hazardous since they could get dragged along if the train moved or they could be crushed between the buffers. 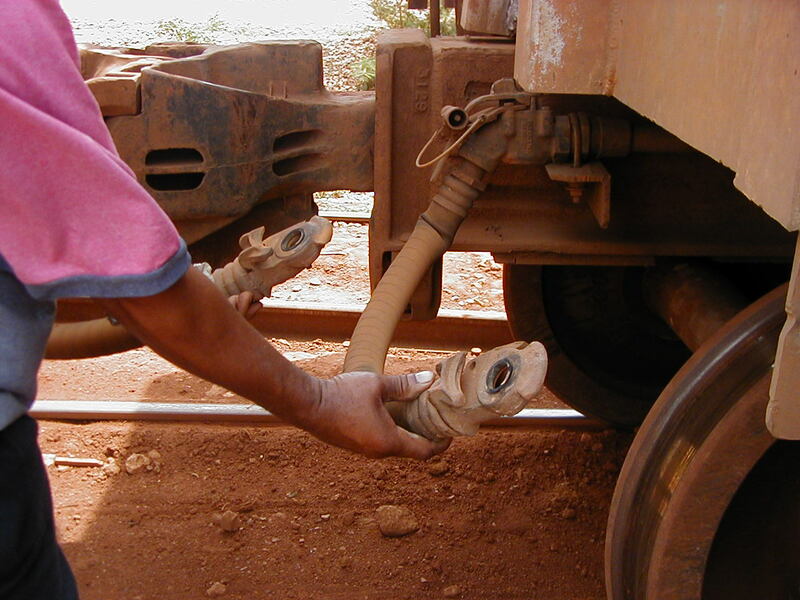 The new coupler allowed two cars to connect automatically — the worker could stand to one side and stay out of danger. In our time there are no low-hanging fruit or easy-pickings of this sort — all the simple/high reward actions have been taken (something else alluded to in the Tainter video). We have already referred to the post A Magnificent Navy on Land in which we suggest that, if we increase safety regulations and standards, we will have magnificent safety management systems, but no industry to manage. In other words there is little point in developing highly sophisticated and complex safety systems that result in the host company being driven out of business. The source of wealth disappears — we kill the golden goose. In conclusion, it was suggested in the first post in this series — The Newness of Safety — that safety professionals will challenged in coming years will be to maintain the ethic of “Safety as a Value” in a time of shrinking resources. But the above discussion suggests that safety professionals will have to achieve that goal without adding complexity to the system that they are working on. In fact, it will be in their best interests to make systems simpler. Hence we reach the following conclusions. The industrial systems that we operate are complex. Our safety programs are frequently complex. We solve specific problems by adding more complexity, not realizing that we have made the overall system more prone to failure. A much sounder approach is to respond to problems by making systems simpler. Some thoughts as to how this can be done, and what the broader implications of such an approach may be, will be provided in subsequent posts. Because we are running into resource and environmental limits we are learning that exponential growth on a finite plant cannot continue. One of the many aspects of our professional lives that will be affected by this change is industrial safety. We will be challenged to make sure that we retain the concept of Safety as a Value and we will need to learn how to design and operate facilities to be safe at a time when resources are increasingly constrained. The title of this week’s post is taken from a phrase I have often used when leading hazard analysis studies such as HAZOPs. Often one of the leader’s biggest challenges is to get the team members to accept that serious events can happen, i.e., to get them to “think the unthinkable”. Ironically I have found that achieving this acceptance can be a particular problem in those facilities which have a good safety record, where standards are high and the team members consistently exhibit a high level of professionalism. In such situations the leader can have a hard time persuading the team members that risk is never zero, and serious accidents can happen anywhere and in any place. These team members can have trouble ‘thinking the unthinkable’. They will make statements such as, “I’ve been here fourteen years, and never seen that” — with the unspoken follow-on, “. . . therefore it cannot happen”. On the other hand, at a facility that has just experienced a serious accident everyone accepts that ‘it’ can happen. Indeed, one of the most effective actions that a corporation can take following a bad event is to have as many employees as possible come from other sites to look at the destruction in order to make them realize that bad events really can occur. The point of the above discussion is to show that we all tend to get trapped into linear thinking — we believe that tomorrow will be pretty much a continuation of today without any major changes. And generally it is. But sometimes conditions change radically and over a short period of time — as seems to be occurring now as we enter the Age of Limits. And sometimes those changes are not what we want. Most of us have spent our careers living and working in a time of material and technological progress. With respect to industrial safety, for example, modern electronics and computer systems have allowed us to install sophisticated safety instrumented systems. Similarly advances in techniques such as vapor dispersion modeling improve our ability to analyze risk. Hence, given that most of us think linearly, we take it for granted that technological progress will continue and that safety will steadily improve. But it is possible for progress to stop; even more disturbing, it is possible for progress to go into reverse and become regress. That fact that technology does not always progress was brought home to me earlier this year as I was sorting through some family pictures. The picture above is of a VC10 airplane. I took the picture in the year 1971 at the start of my journey home from Uganda after serving in Africa as a volunteer teacher. It shows how little airplane design has changed in the last 50 years. 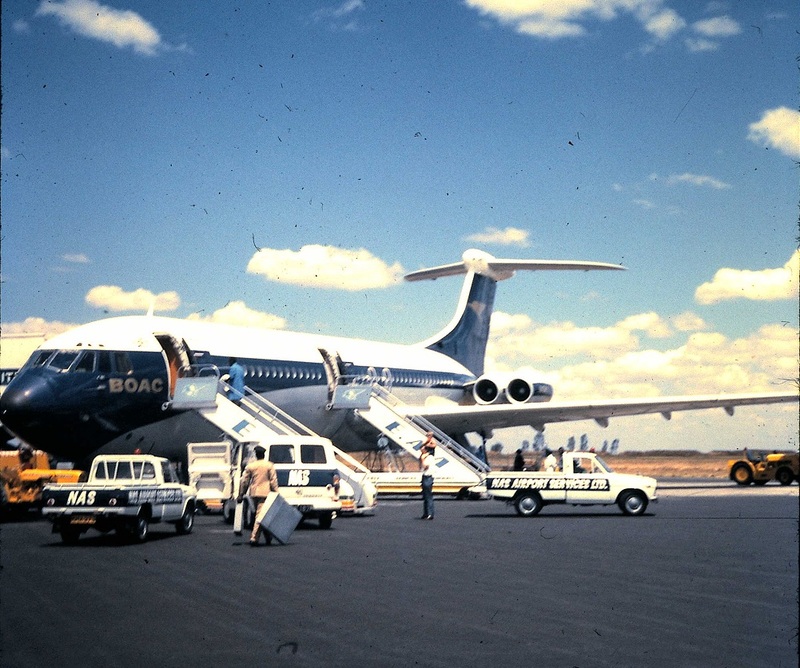 The VC10 had an aluminum body, swept-back wings and was powered with four turbo-jet engines. The only major external change since then is that we would not put two engines adjacent to one another now — if one of those engines were to catch fire the one next to it would probably ignite also. The lack of change in airplane technology becomes clear if we compare the specifications for a VC10 with a modern airliner of roughly equivalent capacity: the Boeing 737-700. Of course the details for each airplane depend on many factors, particularly the model number, but the broad conclusion is clear: the basic design and performance of airplanes has not changed all that much (I could not find data for the fuel consumption per passenger for each model — I suspect that the 737 is much better in that regard; it also has a smaller crew — thus saving money, probably as a result of on-board electronics). But even here some of the changes represent regress, not progress. In 1971, even though I was an impecunious student, a free hot dinner was served on plates with metal silverware. Pillows were provided as a matter of course and there was actually sufficient leg room. Most remarkably there was no security — none; I just showed my boarding pass and walked on the airplane. And, in flight, when I got bored I asked to visit the cockpit and was welcomed up front — no questions asked. If I tried that now I would be arrested. 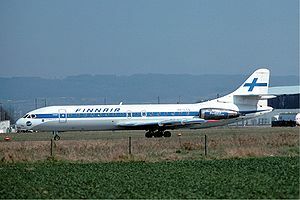 Stepping back in time a little bit more, the very first flight that I ever took was in the year 1967 and the airplane was a Finnair Caravelle. As the picture shows, that airplane, which made its first flight in the year 1955, looks quite up to date. Not much has changed. We conclude, therefore, that airplane design and performance have not changed radically in fifty years or more — such improvements as have occurred have been incremental and mostly to do with cost savings. Indeed, if there have been radical changes they have been in the other direction. Five years after my 1971 flight in a VC10 the Concorde Supersonic airliner made its commercial debut. It was the fastest commercial airplane in the world with a cruising speed of 2170 km/hr (1350 miles per hour), more than twice the speed of sound. A London to New York crossing took a little less than three and a half hours. By contrast, the modern Airbus A380 has a top speed of 1020 km/hr and takes about eight hours to cross the Atlantic. 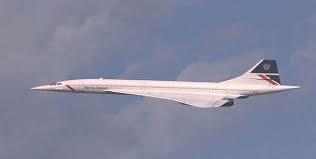 Not only was the Concorde radically innovative in its design, it was “an absolute delight to fly, it handled beautifully. And remember we are talking about an aeroplane that was being designed in the late 1950s – mid 1960s. 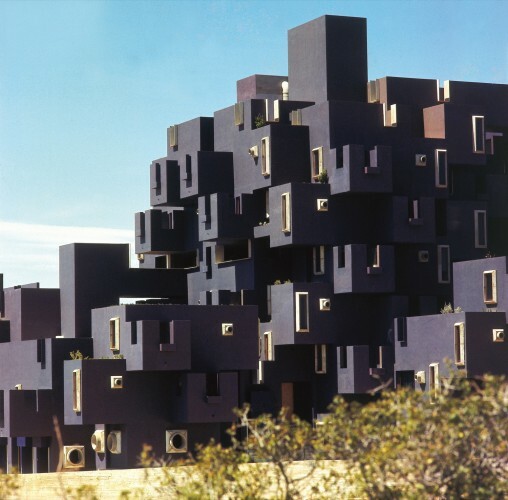 I think it’s absolutely amazing and here we are, now in the 21st century, and it remains unique.” John Hutchinson. The Concorde, which was a gas guzzler, was withdrawn from service in 2003 because the airlines could make more money selling first class seats on subsonic airliners. The lack of technical progress can also be seen in the automobile. 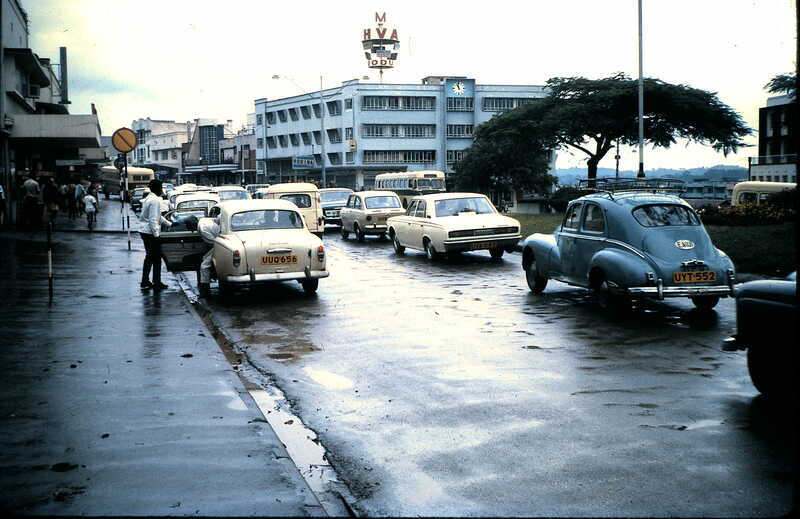 The day before I went to Kampala airport to catch my VC10 flight I took the picture shown on the left of cars in downtown Kampala. Once more, the basic technology has not changed. Modern cars are safer, more reliable and have electronic gizmos such as satellite navigation systems. But they use the same basic technologies as those 50 year old cars: an internal combustion engine running on gasoline, four wheels, two rows of seats and a driver behind a steering wheel. A final example to do with technological regress is the collapse of manned space flight programs. 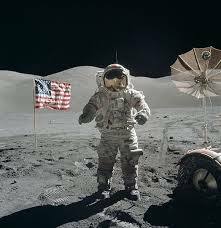 The Apollo program put a man on the moon in the year 1969. Five subsequent missions landed astronauts on the Moon, the last in December 1972. In these six flights twelve men walked on the Moon. Now, if the United States wishes to put a man in space — let alone on the moon — NASA is obliged to hitch a ride on a Russian rocket. Thiel attributes the problem to the fact the many industries, including the energy industry, are over-regulated, whereas the information and software businesses have been relatively free of regulation. But his response, although it is likely to be true, is not sufficient. 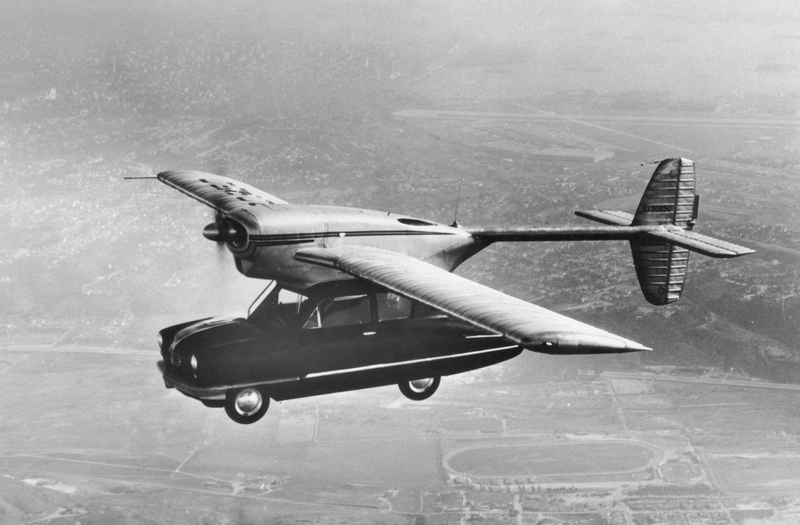 Why have we not significantly improved the basic technology of automobiles and airplanes? Indeed, why — using the Concorde and the Apollo missions as examples — do we seem to be regressing in some areas? I suggest that the answer to these questions is energy, or more precisely, the cost of energy extraction. We make good progress in areas such as electronics because the energy requirements to build a laptop computer, say, are nowhere close to the requirements for developing a new space program that would allow ordinary people to visit the moon. Moreover, as noted in Nine Pounds of Gold, we are spending more of our energy just to find and produce the energy we need to replace the depleted reserves. When ERoEI was 100:1 we could invest one barrel of oil and get 100 barrels back. With the net 99 barrels we could invent jet engines, send men to the moon and build freeways. Now, with ERoEI for new projects coming in at less than 20:1 (and not even 1:1 in some cases), we only have 19 or less barrels of energy to use as we wish — and most of that is spent maintaining the systems that we already have in place. There is virtually nothing left over, so we have no choice but to cut back on technological developments. And there is a more subtle issue to consider. A natural response to the problems with oil supply and private transportation is to transform automobiles such that they run on electric motors, not internal combustion engines. But the energy cost of making such a transformation would be enormous and would have to be spread out over many, many years (after all, there are something like 0.75 billion fuel-powered vehicles – automobiles, trucks, ships and airplanes – in the world). The focus of these posts is on industrial safety, and there is no reason to believe that the safety business is exempt from the drag that the cost of energy will put on all aspects of business. It is true and commendable that safety has improved so much in the last two decades. But much of that improvement can be attributed to two items — the use of advanced electronics and the implementation of behavior based safety programs — that are not energy intensive. Our challenge will be to develop safety programs and ideas that require a minimal use of energy. Last week’s post showed that the idea of Safety as a Value is not baked into our genes — it is in fact a cultural artifact that developed during the early phases of the Industrial Revolution, i.e., the first half of the 19th century). The post then went on to note that we are entering an Age of Limits and that one consequences of the change will be that industrial professionals will face a serious challenge: how to maintain the moral and ethical idea of safety as a value at a time when economic screws are tightening. Natural resources, particularly oil, are becoming ever more expensive to extract. We are running out of places to dump waste products such as CO2 or plastics. In order to maintain economic growth government, businesses and individuals have all taken on immense amounts of debt. We will look at the first of these — Resource Limitations — in this post. The following quotation is taken from the article Is there gold in the ocean? posted at the National Oceanic and Atmospheric Administration’s web site. 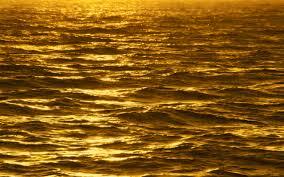 Currently, there really isn’t a cost-effective way to mine or extract gold from the ocean to make a profit. But, if we could extract all of that gold, there’s enough of it that each person on Earth could have nine pounds of the precious metal. The point of this example is to show that it is not the absolute amount of a resource that matters — it is our ability to extract it economically. In the case of gold it will never make economic sense to extract it from the sea. So much for our nine pounds of gold. 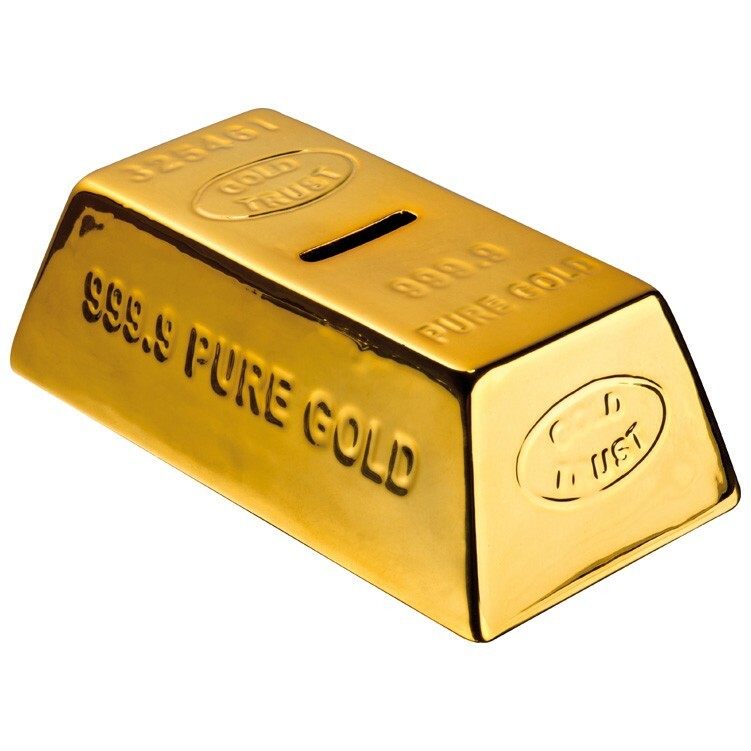 With regard to gold it really doesn’t matter how much the extraction process costs — the metal is not a fundamental necessity of our civilization. But the same cannot be said of oil and other hydrocarbon fuels such as natural gas and coal. As it becomes increasingly expensive to extract them from the ground there will be less energy (hence money) left over to fund other activities — including safety. And if ever we reach the point where the net production of energy of oil or gas approaches zero then we are in very serious trouble indeed. One of the many consequences of such a situation could be that we revert to a moral climate similar to that of the early nineteenth century where safety is no longer regarded as a value, or at least it is seen as the responsibility of the individual worker not of the company that employs him or her. To reiterate, whenever the topic of resource limitations comes up the initial reaction of most people is to consider the overall amount of that resource. “There is plenty of oil in the ground, so we will not run out of it for many, many years.” But, as the example to do with the nine pound gold bars showed, the key question is not “How much is available?” but “How much can be extracted economically?” The issue is not how much of them are in the ground but about the rate and economics of the extraction process. And in order to address those questions we need to understand the concepts of Net Energy and Energy Returned on Energy Invested (ERoEI). This can be done by thinking of the money not in terms of dollars (or euros or pounds) but in terms of barrels of oil (or cubic meters of gas or tons of coal). Gross energy is the energy available after oil has been extracted from an oil well or after coal has been mined. But it takes energy to find, produce and consume energy. And it takes yet more energy to convert energy from one form to another (say coal to electricity). Therefore what really matters is not gross but net energy, which can be defined as follows. Energy expended includes the energy needed to drill the well and then transport the oil to the customer. It also includes the energy needed to fabricate the steel for the drill rig, the energy used by a refinery to convert the oil into usable products, even the gasoline used by the workers when they drive to work should be included. This is obviously a very good return on investment; it is what was obtained in the early days of the oil industry in Texas in the 1930s and in Saudi Arabia in the 1950s. The picture of the Spindletop blowout in the year 1901 illustrates the exuberance of a high ERoEI. 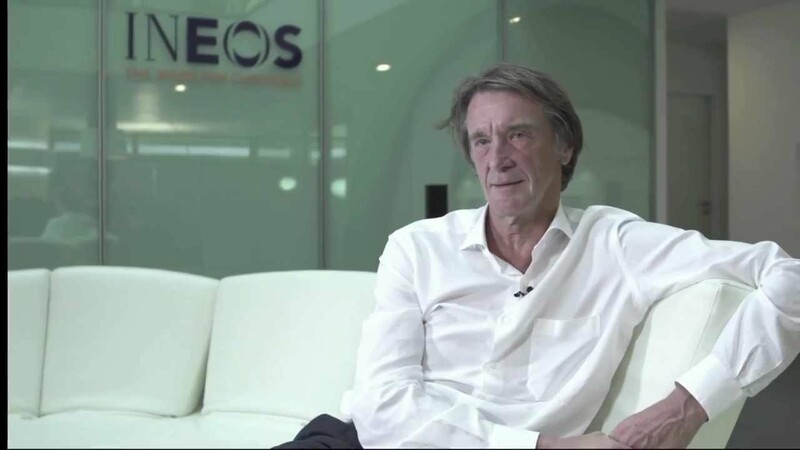 By definition any energy investment that has an ERoEI of less than unity does not make sense. In practice many analysts suggest that if the value is less than five then the investment is questionable, largely because most ERoEI calculations exclude many items which really should be included. Electricity needed to keep the site office running. Even the energy used by the advertising company to create TV advertisement for the gasoline produced. The issue becomes even more complex when issues such as shared resources for two projects and the multiple sources of electricity are considered. It is for these reasons that an economic level for ERoEI of five rather than one is often used — there are many energy inputs to a project that are likely to be overlooked. As already noted, in the early days of the oil industry ERoEI values of 100 or more were commonplace. However it is always the low-hanging fruit that is picked the first so overall ERoEI has dropped as oil, gas and coal have become more difficult to extract. For example, it requires a much greater energy investment to produce oil from a deepwater well than it does from a shallow well located onshore close to market. Due to the boundary condition problems just discussed and also because conditions change with time it is difficult to develop accurate ERoEI values. Moreover, there are often hidden factors such as government subsidies that skew any analysis. Given these caveats some very, very rough numbers are provided below. There are also qualitative issues to consider. For example, low ERoEI projects generally impact the environment much more adversely than those with a higher value. In the “good old days” all you had to do was “stick a straw in the ground” and high quality oil flowed under its own pressure into the production pipeline. No longer — now the development of resources such as the bitumen tar sands has a huge environmental impact. And the Deepwater Horizon/Macondo catastrophe showed just how severe the environmental problems to do with deepwater drilling can be. Political issues can also be a factor. For example, ethanol produced from corn may have an ERoEI that hovers around one, hence it does not make economic sense to bother with this activity. But the ethanol does provide a local source of fuel thus providing those countries that grow corn and make ethanol with some political independence. And the production process provides jobs for the local population. Climate change is another qualitative issue. Gas may have a lower ERoEI than coal but it puts less carbon dioxide into the atmosphere and so contributes less toward global warming. But the bottom line is that we are using more and more of our energy resources to create usable energy — which means that there is less energy (money) left over for all the other activities that we would like to do — including improving safety.
. . . the process that drives the collapse of civilizations has a surprisingly simple basis: the mismatch between the maintenance costs of capital and the resources that are available to meet those costs. Capital here is meant in the broadest sense of the word, and includes everything in which a civilizations invests its wealth: buildings, roads, imperial expansion, urban infrastructure, information resources, trained personnel, or what have you. Capital of every kind has to be maintained, and as a civilization adds to its stock of capital, the costs of maintenance rise steadily, until the burden they place on the civilization’s available resources can’t be supported any longer. Now this is very big picture thinking indeed. We are confining our discussions here to the value of safety. In the context of the discussion at this post, what Greer is saying is that we will spend more and more of our available net energy (money) on simply finding and producing new so new sources of energy to replace what we are using up. This means that there will be less net energy (money) available for everything else that we want to do — including improving safety, whether it is the purchase of hard hats or the running of sophisticated vapor dispersion computer simulations. But the fundamental challenge for industry professionals runs deeper than this — it is to make sure that the concept of “Safety as a Value” does not fade away. As discussed in last week’s post this concept may have ethical and moral roots but it only became practicable as society created large amounts of net energy (money) in the early days of the Industrial Revolution. There is nothing that says that we cannot regress.